I must admit, after spending two weeks in a bikini on the beach, wearing proper clothes again was a bit of a shock to the system, and picking an outfit to wear each morning for the indecisive Preston weather is proving a challenge! 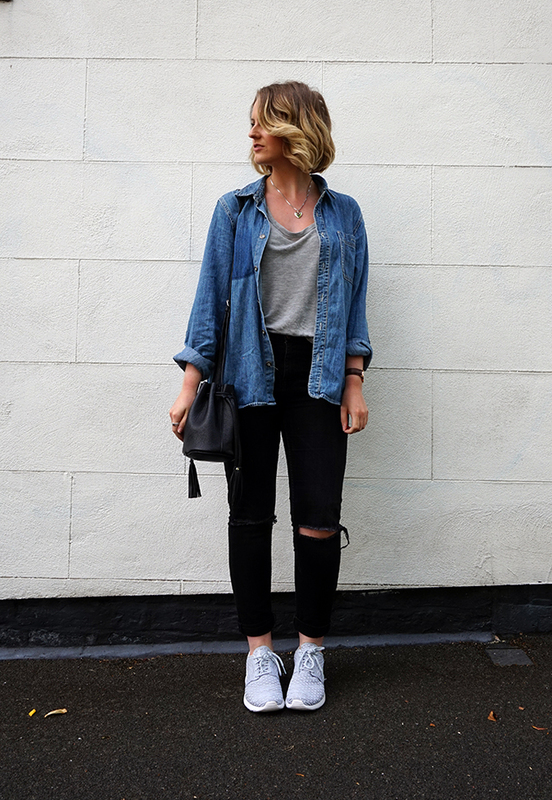 Needless to say, I managed to pull a look together that is perfect for a lazy weekend, featuring my favourite new trainers and a shirt I stole borrowed from Dan (because men’s shirts are so much better than girls!). 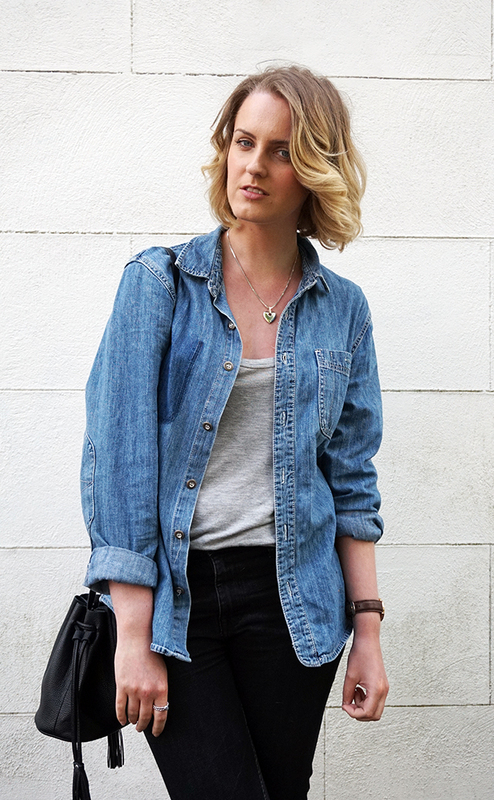 I love wearing laid back outfits like this for those chilled out off duty days. 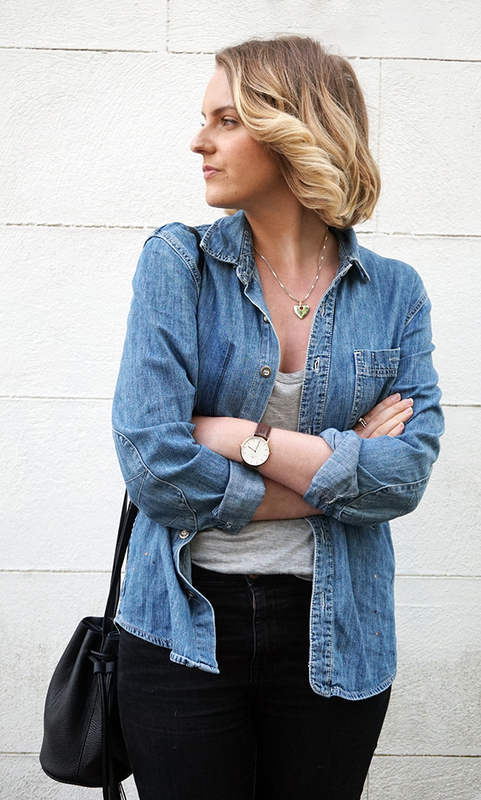 I’m a sucker for a good jeans and t shirt combo! 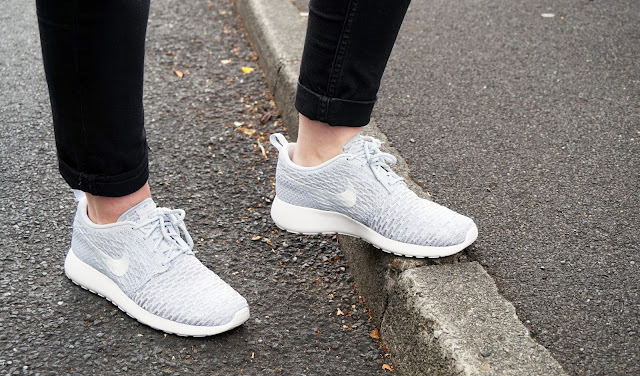 The Nike Roshe Run FlyKnits are the perfect trainer to complete the look, and are great worn with dresses or shorts, too! 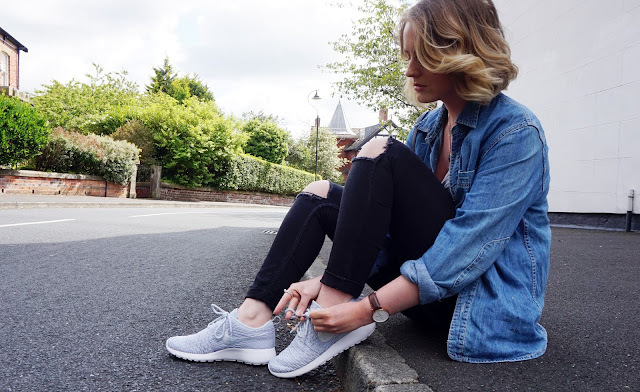 I love the grey knitted detailing (you all know how obsessed with grey I am…), slimline fit and the lightweight soles make them super comfy. Dan and I have started doing a fair bit of walking lately, so they’ll be coming in very handy for that! 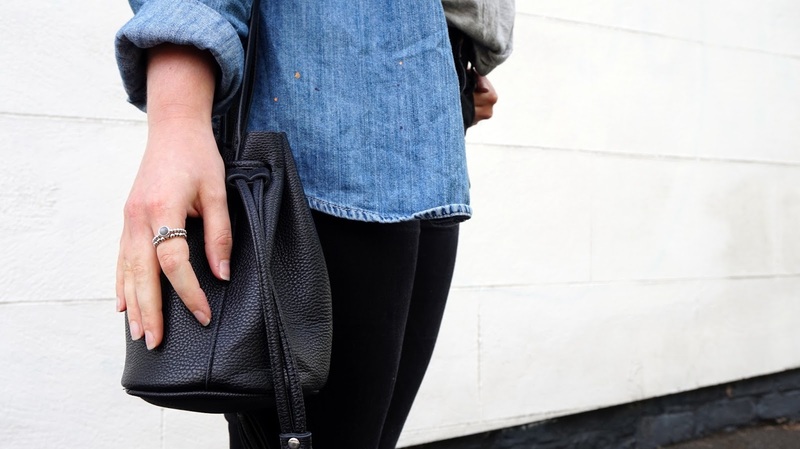 What do you like to wear on dressed down days at the weekend? What are your trainers of choice?